The live dealer games are running on Extreme Live’s software. Some of the popular titles, such as roulette, are available in numerous languages. Whether you choose to play live games or online titles, your deposits and bets will be counting towards Enzo Casino’s VIP System. The system rewards you with points that can be turned into bonus money for even more gaming. The value of your points will be determined by your deposit tier. As you might have guessed, based on the national live casino games, Enzo Casino is popular in many different countries. Therefore, the casino can be viewed in 10 languages, including Polish, Swedish, and German. The available bonuses are equally profitable for all players. Enzo Casino Welcome Bonus gives away 200% match bonus up to €1,500 along with 60 Bonus Spins on your first deposit. 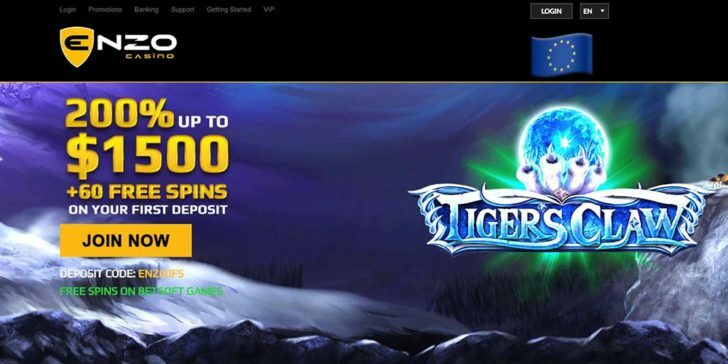 If you deposit €750, you will receive €1500 bonus money and then you can play with €2250. 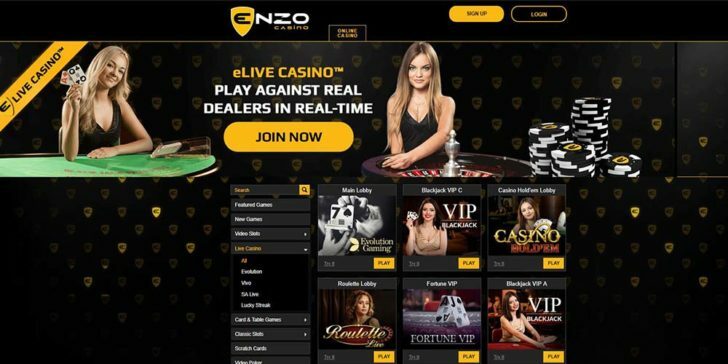 Moreover, 60 Bonus Spins on Betsoft games on top of the huge match bonus enables new players to enjoy the high tech online casino games of Enzo Casino without much of their own money. 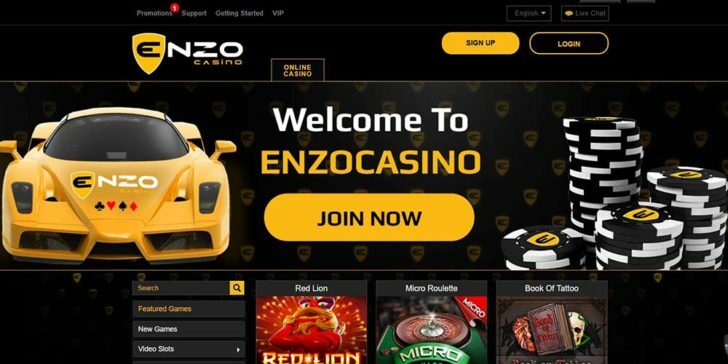 If you are still not sure about joining Enzo Casino or you have a question regarding the registration process, just contact the site’s support via phone, or mail ([email protected]) This well-rounded online casino is highly recommended for any player who is looking for a wide selection of games on an easy-to-use interface.